• With integral power supply and space for batteries. • Fire & Fault VFCO relays. • Class change and an alert input are also included. 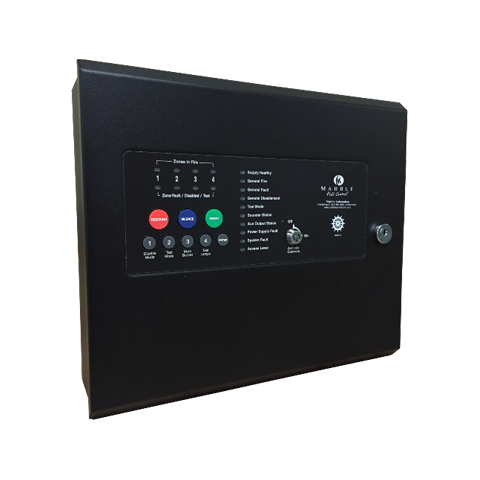 • Fully approved to European standards EN54-2 & 4, Fire Detection Alarm Systems – Control and indication Equipment & the Marine Equipment Directive.